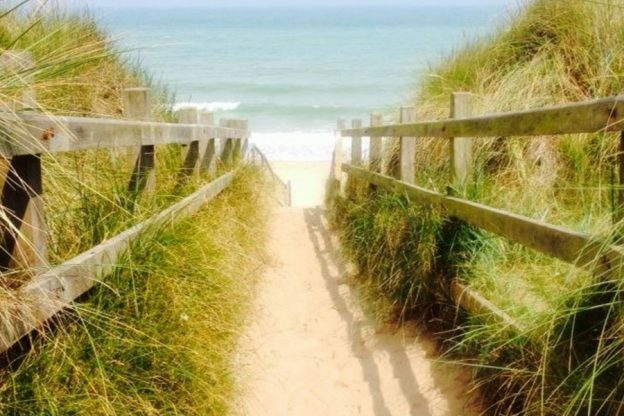 Sea Palling is 3.5 miles from the campsite, this excellent dog-friendly vast sandy beach is the result of nine offshore reefs created as part of a flood defence scheme. This beach is ideal for families cycling to and from the campsite. It is excellent in summer for swimming, kite surfing, surfing, wind surfing, kayaking, canoeing, beach games, boat-launching, and has facilities, pubs, cafes, shops, toilets, disabled facilities, first-aid point, lost child centre, deck chair hire, amusement arcade and there is even a stall selling locally-caught fish and homemade fudge.